Nowadays, the usage of organic products is increasing with the increasing harmful side effects of chemicals. We wish to be healthy and treat our ailments with chemical free products. Isn’t this true? 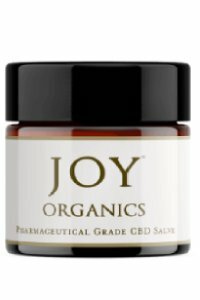 Similarly, Joy Smith the founder of Joy Organics faced a severe problem in sleeping and dealing with chronic pains. She researched the natural products to find that CBD is the cure. But to her dismay, none of the leading CBD brands proved to be effective. She was confident that the problem lies in the processing of CBD in the then existing companies. So she set out on further researching, consulting scientists, lab testing and finally created pure products of CBD oils to promote health, benefit health issues and revitalize lives. CBD is Cannabidiol compound extracted from the cannabis plant. The essential oil is extracted from the plant’s flower clusters. Whereas the much confusing hemp oil is from hemp seeds, used for cooking. CBD oil has been used from the ancient times till today. For the ultimate guide to CBD Oil, you may click here. 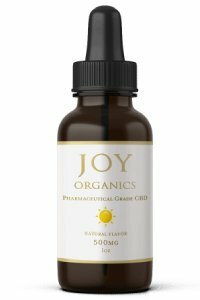 Organically grown Hemp – The ultra-modern organic farming practices results in growing all the Hemp to be used in Joy Organics products. Processing the Raw Hemp – The Hemp plants are harvested, cured, dried and stored in a warehouse. As per need for production, the stored plant is powdered coarsely and shipped to the processing center in Colorado. Proprietary Hemp Extraction and Purification Process – This process is used to ensure all cannabinoids, terpenes, and flavonoids are well preserved. Subsequent to full spectrum oil extraction, it is pressed to separate maximum oil from plant solids. This is Entourage effect giving manifold benefits. Distillation – Now on distilling the oil, it separates the hemp extract from the food grade ethanol used in extraction. Zeroing down THC and Refining – By using proprietary technology, any traces of THC (tetrahydrocannabinol) left in the oil is removed. Chlorophyll, wax, and traces of plant matter are also rid off on refining. Lab Testing – On passing through the in-house lab testing for quality and potency, a certificate of Analysis and Quality Assurance is granted to the batch. On a monthly basis, to further confirm, third-party labs are used. Nano-Emulsion Technology – This technology increases bioavailability. Thus, allows the particles to be 25 – 60 nanometers in comparison to 150 – 5000 nanometers in size of the other company’s products. Smaller the particles better are the absorption in the body. This also increases the potency of Joy Organics products i.e. in less quantity you benefit the same level as that of the competitor’s products. With such a process, the motto of the company – Better products, Better value, Better results are accomplished. CBD Oil Tinctures – contain rich hemp oil, grape seed oil, MCT (Medium Chain Triglycerides) oil, etc. Available in mint, orange, lemon, and natural flavors. Relieves from pain. Manages fibromyalgia and migraine pains. Thus have a good sleep on relaxing pain. CBD Softgel with Cucurmin and CBD Softgel with Melatonin – utilize nano-emulsion technology in original and mixture with cucurmin and melatonin respectively. The former promotes relief from chronic pains and is anti-inflammatory in action. The later induces restful sleep and health. CBD Salve – used for topical application. This supports skin health. This is a great remedy for joint pain and inflammation. CBD Energy Drink Mix – This is an energy booster drink mix with a natural berry taste. CBD Vape Pen and Cartridge – You can get rid of worrying for buying cartridges and batteries separately as CBD Vape Pen includes both in one kit. The best thing is that the oil is full spectrum hence, most potent. Need to use only a small bit on one use, as the proprietary nano-emulsion technology does magic to the effect of that small amount. CBD Night Cream, CBD Face Serum, CBD Day Cream, CBD Eye Serum and CBD Face Mask – are all dermatologist tested cosmetics made from the high-quality CBD oils and other ingredients. They soothe the complexion and hydrate to leave a healthier skin. CBD Pet Products and CBD Oil Tincture for Pets – Easy to administer to revitalize the health of the pets without any side effects. The products are boon to the dogs with arthritis such that they alleviate from pain and become bubbly like a puppy again. To avoid the taste of tinctures, yet got relief from the pain of Endometriosis and post-hysterectomy with the intake of CBD Softgels with Cucurmin. The pain in shoulders and neck that persisted for months was magically gone with the application of CBD Salve. From yawning to refreshing, the CBD Energy Drink Mix is amazing in taste and action. Whether you are a seasoned CBD user or a first-timer, in both the cases, CBD Vape Pen will create magic in your experience of vaping. An old cat after getting bullied by neighboring cats was stressed out and went on licking her belly fur. But on administering CBD Oil Tincture, she is now a gaiety cat with fur grown back. Mission verified in benefitting people’s lives by rendering them the full spectrum, affordable and highly effective CBD supplements. Quality verified as they are in fully organic production and processing Hemp to extract CBD and prepare CBD oil products. Innovation verified by making the extensive use of water-soluble, nano-emulsion technology to produce smaller compound particles so as to increase their absorption. Safety verified as they keep ‘safety first’ by conducting innumerable in-house lab tests to test the potency, contaminations and residual solvents. Charity verified as they don’t believe in just increasing their proceeds, but also in donating. Some of their Fort Collins store sales go straight to support the struggling commonalities around. Giving back a portion of their proceeds is a stepping stone to bring about societal transformation. The founder of the company, Joy Smith, aids the homeless such as preparing and distributing breakfast to them. Raise money for the needy and hungry children. Being an international speaker augurs well to uplift women’s spirit towards life. The founder creates programs keeping the societal revolution in mind. The company gives their products who are in need of them but cannot afford it. Giving away a part of their sales to the meritorious non-profit organizations. This surely reflects that the company has a sense of social responsibility. Being a progressive leader and a business owner, Joy Smith, regards the humanity in her employees (workers and staff), vendors, customers and all those who come in contact with her products. By keeping Joy Organics fundamentally a green company, their commitment to protecting the environment is strong. From the very inception of the company, its long term goal has always been to be useful to as many people as possible with CBD Oils and its products. 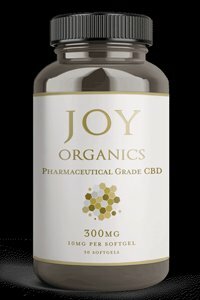 Celebrate and jubilate with CBD Oils and its applications.